Traditionally, rugged laptops have required a military-grade surplus of tradeoffs. Typically this has meant lower-speed, older CPUs, tiny hard drives, a dearth of ports and even prior-generation operating systems installed. Whether the manufacturers were reluctant to change configurations regularly or buyers simply didn�t care about performance is a mystery. Either way, you got a bulky and durable machine, but one that crawled along at the most basic of tasks. 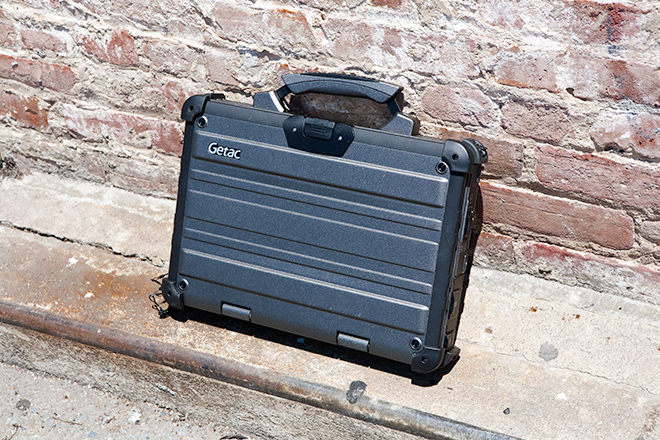 That changes with Getac�s X500: A rugged laptop that, finally, has the tech chops to back up its MIL-SPEC cred. 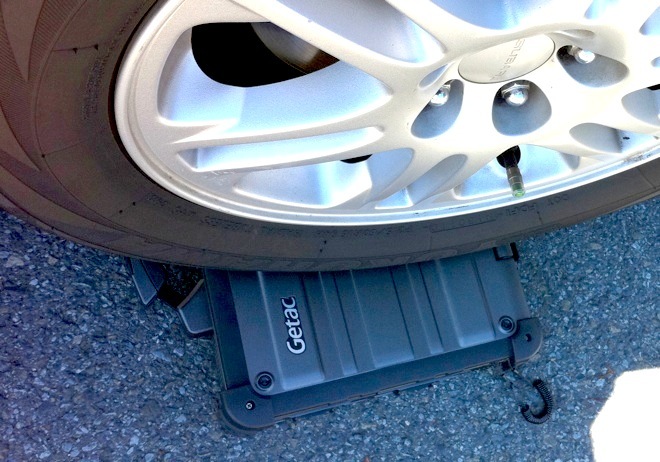 Certified for MIL-STD-810G and IP65 (your standard shock, water and fungus resistance) and �ready� for MIL-STD-461F (which covers electromagnetic interference), the Getac X500 is a handle-equipped, 12.4-pound slab of magnesium alloy and rubber with plenty of power under the hood. 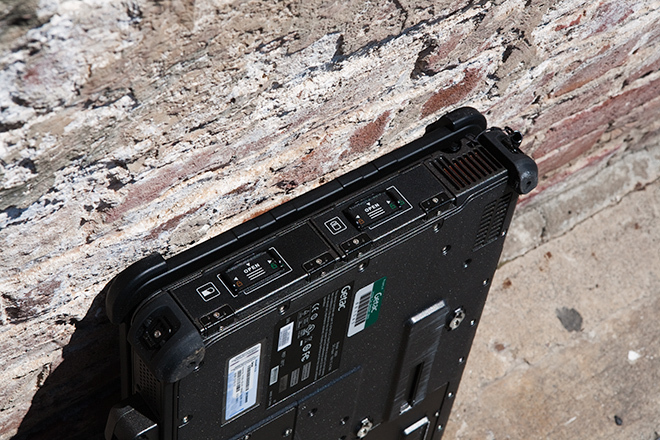 Internally, the X500 is powered by a 2.67GHz Core i7 CPU, 4GB of RAM and a 160GB solid state hard drive. Integrated graphics, you say? No: The X500 springs for an impressive Nvidia GeForce GT 330M. The 15.6-inch LCD only provides 1366�768-pixel resolution, but it�s designed for outdoor viewing, giving it a blinding level of brightness. (In fact, it�s quantitatively the brightest display I�ve ever tested.) The display also features a (resistive) touchscreen: It works with your fingertip, but the included stylus is a better bet for accuracy. Performance is off-the-charts stellar. The X500 turned in near-record marks on both general productivity apps and, shockingly, gaming framerates. That�s excellent news for our military readers: The X500 is just as good for killing actual insurgents as it is for virtual ones. I also tested the X500�s rugged chops by dropping it several times, dousing it with water and even parking a Subaru Forester on it. 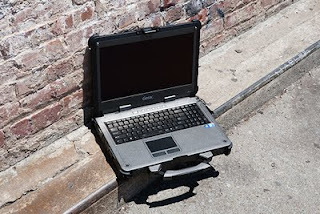 Damage was never worse than surface scuffs and cosmetics: The pavement scraped up the underside of the laptop and shredded the rubber feet, but those appear to be easily replaceable and designed to take some punishment. The photos above were all shot after I rained abuse upon it, and as you can see, it doesn�t look battered or frayed. Gripes, aside from the beastly size, are moderate. The fan is so loud and powerful that it blew papers off my desk from a distance of 18 inches. There�s no optical drive, and the touchpad is dismally unresponsive, making it one of the few times I actually preferred to use a laptop�s touchscreen to the traditional pointer. Whether you�re out there in the field or find yourself playing the role of Chairborne Ranger, Getac�s latest has guts enough for the toughest of tasks. Of course, if the weight doesn�t give you a hernia, the price might. But since it�s likely being bought on Uncle Sam�s dime, well, what do you care? WIRED Amazingly tough. Doesn�t skimp on performance. LCD viewable in everything short of direct sunlight. 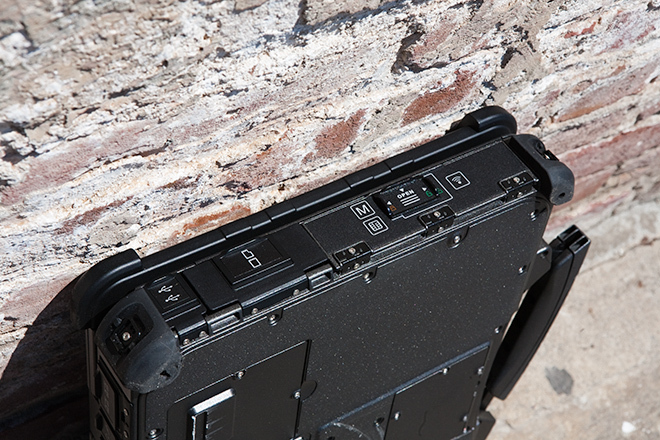 All ports protected under secure, but easy to use, snap closures. TIRED Puny battery life � barely two hours � will not outlast forced march to Kandahar. No USB 3.0. Two serial ports but no parallel port? Come on, Getac! Hulk-inspired looks won�t exactly help you out with the ladies at Starbucks. DataDeposit is a nifty little jailbreak app that allows iPhone, iPad and iPod Touch users who have jailbroken their iDevice to save application data to their Dropbox account. It not only helps you to keep a backup of your application data in the cloud so that you can always restore it, but it also provides a neat way to transfer the latest game saves from your iPhone to an iPad or iPod Touch. The official Dropbox app (iTunes link) currently only allows users to upload the photo library to their Dropbox account as that is what is possible using the official APIs. Backup iOS application save data to your Dropbox account, and restore to another device! Great for synching your Angry Birds save from your iPhone to your iPad, or ensuring that you never lose any data. It�s quite easy to use, when you launch the app, it gives you the list of apps you�ve installed and you have to select the app, you would like to create a backup for. Once the application data is backed up, you should be able to see a zip file for that app in the �DataDepositApp� folder created in your Dropbox account. If you want to transfer the application data from your iPhone to an iPad or iPod Touch then install the app from Cydia on that device. When you launch the app and select Restore from Dropbox. You�ll see the list of apps that can be restored from Dropbox. Tap on the app to download the application data from Dropbox and restore it. Please remember to close the app if it is running in the background (via the multitasking bar) before taking a backup to avoid any issues. Though the backup process worked for the few apps we tried, it might be a good idea to double check your Dropbox account to confirm that the application data has been successfully backed up. DataDeposit is available for free on Cydia. If you don't have a Dropbox, then you can create a free account (using the app or going to Dropbox's website), which comes with 2GB storage that should be ideally be sufficient for this purpose. If you give it a shot then let us know how it goes in the comments. 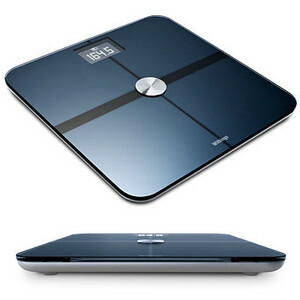 Keep you weight and diet on track with this internet enable scale! You can easily monitor you weight and body fat directly to your own computer or iphone. Even your whole family could use it because it works monitoring up to 8 users. Keep track of your fat mass, lean mas and bmi with the free iphone application available for download. Tech blogs are never short on Apple rumors. Here's the latest: The company reportedly is working on a new iPad, due out later this year, that will have a higher-resolution screen. Dubbed the "iPad HD" by a blog called This Is My Next, which is run by former editors from the respected tech site Engadget, the new iPad is said to be a "pro" device that could be used for high-end video editing and photography. "Think MacBook and MacBook Pro," writes Joshua Topolsky, referring to Apple's lines of laptops. The iPad HD, which would have a screen with twice the resolution of the current model, will be introduced in September alongside new software that will cater do these higher-end applications, the blog says, citing unnamed sources. Ars Technica, another tech site, says the rumor makes sense given the fact that Apple has been releasing high-resolution versions of tablet content. "Apple started including pixel-doubled artwork in versions of iBooks for iPad some time ago. 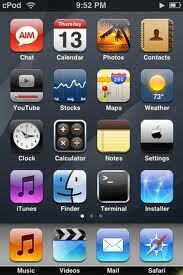 It recently added yet more 2048 x 1536 pixel artwork in iOS 5 betas for newer features like Twitter and Newsstand. So it seems a pretty safe bet that a future iPad will definitely use this resolution," that site writes. But Ars Technica doubts Apple would start a second, high-end line of tablet computers. The high-resolution screen could boost the price of the Apple's popular tablet computer, which is the best-selling on the market, says the Time blog Techland. Full disclosure: Time shares a parent company with CNN. "The screen itself would be so expensive that it'd be impossible to hit the $500 starting point pegged to the consumer versions of the iPad," Techland says. This is all conjecture, of course -- which is part of Apple culture these days. The conventional wisdom says Apple will hold some kind of product announcement in September, when a new iPhone and possibly an iPad could be unveiled. Apple's second-generation iPad went on sale in March. The company faces a host of competing tablets -- most running Google's Android operating system -- but none have sold as well as the iPad. Apple on Friday said it was working to patch a vulnerability that hackers could use to break into the company's popular iPad, iPhone and iPod Touch gadgets. Engineers at the California firm are fixing a weakness pointed out by the German Federal Office for Information Security (BSI). 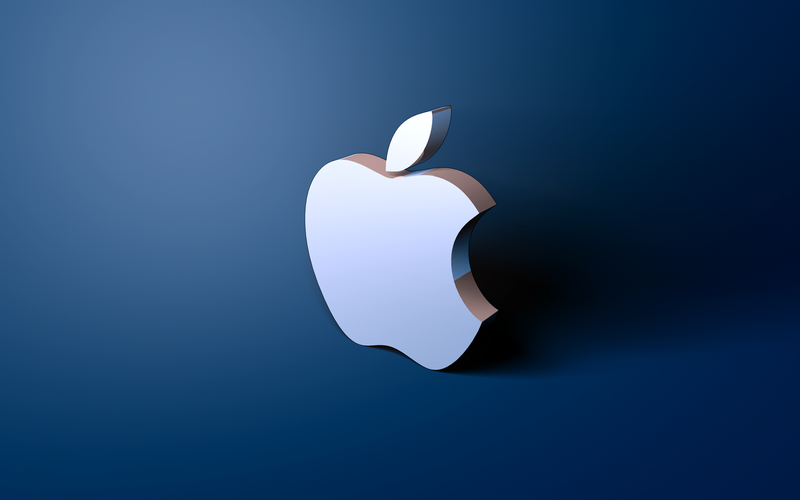 "Apple takes security very seriously," Apple spokeswoman Trudy Muller said in response to an AFP inquiry. "We are aware of this reported issue and developing a fix that will be available in an upcoming software update," she said. BSI warned this week of a flaw that would let hackers infiltrate Apple mobile devices by duping users into opening PDF document files booby-trapped with malicious computer code. Although no attacks have been observed, hackers are likely to try to exploit the weakness, according to a posting on the agency's website. Possible "attack scenarios for cyber-criminals" include accessing passwords, email messages, contact lists, or built-in cameras and eavesdropping on phone conversations or getting location information, according to BSI. The agency recommended that Apple device users guard against hackers by not opening PDF documents from unfamiliar sources. Apple gadget users should limit Web browsing to reliable websites and avoid clicking on links in emails unless they are certain where they lead, BSI advised. Why Google+ is the next Facebook? Eliot Van Buskirk - Evolver � Google's social network, Google+, is late. Facebook has a big lead, having ousted MySpace, which in turn deposed Friendster, the site that started us all on this path towards recreating our social fabric as a network of connected personal nodes. Facebook is an excellent tool for sharing music�usually in the form of Google's YouTube videos�but even the developer of the top music app on Facebook says it doesn't do enough, music-wise. And when we canvassed the top 20 Facebook music apps, we were shocked by what we found. The list of the most popular music apps on this, the most popular social network, included werevertumorro and Shane Dawson TV, which aren't even music apps; they merely alert fans when one of those videobloggers throws up another video on YouTube. Evolver.fm contacted Google to try to talk about its music strategy for Google+, mentioning Facebook's apparent shortcomings in that area. A spokeswoman declined to comment �in part, she said, because Music Beta by Google is still in, well, beta. But even without discussing it with Google directly, we can spot five ways in which Google could become "besties" with music enthusiasts to Facebook's detriment. Meanwhile, Google has thousands of engineers, all of whose yearly bonuses will be tied to how "social" they can make its offerings. Clearly, Google+ could give Facebook a run for its money when it comes to sharing music from�and across�all of the music services (read: silos) upon which we depend. If you haven't used Google Hangout yet, Google+'s online video chatroom that lets you know when your friends are hanging out, consider that my former colleague Jenna Wortham of the New York Times thinks it just might be Google's "killer app," which is really saying something, when you're talking about a company with as much to offer as Google has. And if you've yet to sign in to group listening service Turntable.fm, consider how many music fans already love the way the recently-launched service lets them get together to spin music and talk about it. By combining those two concepts�with or without the video component�to create real-time music listening parties with push notifications, Google+ could run "circles" around Facebook in the group listening department. And music fans would start evangelizing Google+ in order to get their friends involved, the same way they are currently doing with Turntable.fm. Google+'s Hangout feature could do something else, and surely this one has already occurred to Google engineers pining for that "social bonus." Hangout could be a great way for stars to hold meet-and-greet sessions with their fans. Plenty of other ways exist for this sort of thing, of course, but Google has money and famous people make appearances in exchange for it. If Google doesn't do this, one has to wonder how else they're spending their money. And, of course, the company could archive these talks on YouTube, creating valuable content that would still be of interest 20 years from now, in many cases, and which wouldn't appear on Vimeo or any other competitors. Speaking of YouTube, it's been slowly edging into the live online music business. Clearly, those shows could find a place on Google+, with plenty of social-bonus-friendly features for talking about the show in real time. Oh yeah, Google already has its own music storage solution for fans, unlike Facebook, which uploads photos and videos for easy sharing but ignores your music collection. If Google+ doesn't do something interesting with the service still known as Music Beta by Google, its engineers don't just deserve to miss out on those bonuses; they should probably be fired. There are many ways to go with this, but for starters, they could make your music collection visible and searchable on Google+, use it as a way to introduce people to each other, work on creating DMCA-compliant streams that would allow people to listen to each other's taste, and use taste-combining algorithms to create stations out of multiple Music Beta by Google accounts too. Just a thought. Facebook doesn't have a popular smartphone operating system, and Google does. I'm not an engineer, and have never even played one on TV, but Google's finest should be able to figure out how to use Android APIs for slicker integration between music apps and Google+ than Facebook can manage on mobile platforms it doesn't control. I am a big fan of gadgets and this one really got my eye. 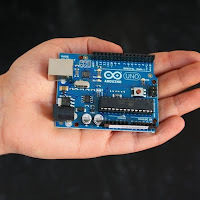 Arduino is an open-source electronics prototyping platform based on flexible, easy-to-use hardware and software. It's intended for artists, designers, hobbyists, and anyone interested in creating interactive objects or environments. It comes with Schematic, manual and mounting diagrams. Just about everything you need to modify it to your liking. 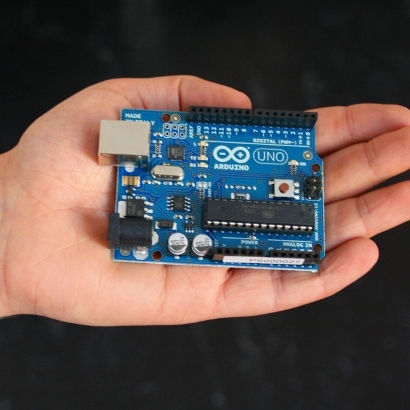 The boards can be built by hand or purchased preassembled; the software can be downloaded for free. The hardware reference designs (CAD files) are available under an open-source license, you are free to adapt them to your needs. delphi 7.0, delphi 2010 and binary files. My software developed under Delphi 7.0 has been upgraded and developed under Delphi 2010 RAD Studio XE. It also saves or writes user's settings into binary files. The problem I am running into is that my Delphi 2010 application or software is expected to read binary files created by Delphi 7.0 application, but Delphi 2010 application has problem reading the binary file. Both of these software are copy of each other. I did set the Record Field Alignment option for the project at 1 on Delphi 7.0 and byte on Delphi 2010. I am always running into exception "read beyond end of line," when the software reads the binary file. I read and write a binary file by doing the following. Is there something I am missing or not understanding very well? One thing I did forget to mention is that Delphi 2010 application reads and writes into binary files just fine without making any changes to the code, but it has problem only when reading files created by Delphi 7.0. application. Obviously, this question is related to Record Field Alignment. So, what should I set it on my Delphi 2010 (Byte, Word, Double Word, Quad Word), if Delphi 7.0 is set at 1. The key is in the TFileHeader declaration (and maybe the TUnit and TUnitType declaration). You should add these definitions to your question. If you define a pure string in either of these records, you need to use ShortString instead of String in Delphi 2010 to make it work. String in Delphi 7 = 1 byte per char. String in Delphi 2010 = 2 bytes per char. Your last update doesn't really reveal any new information, but the fDefs variable in the ReadUnitFile procedure is defined as an array[1..16] of SmallInt;, but in your TUnit class, fDefs is an array[1..20] of SmallInt;? The fDefs variable doesn't seem to be used, but this might be the difference that causes the EOL error? You should define arrays like this as a common Type, anyway, to ensure that they can be passed around and assigned to each other as compatible types (eg. as parameters in methods). The error is not in the strings, but in the Size of TObject. In Delphi 2009, TObject increased the size from 4 bytes to 8 bytes. The first 4 bytes is a pointer to the objects VMT (as it has been for a long time), and in the last 4 bytes (IIRC), it is possible to contain a reference to a synchronization monitor. Deleting TList within a TList. I am trying to free Tlist within a Tlist in a onDestroy event and FastMM4 is raising an access violation error. Here is the code snippet. I get access violation error at TSignal(SignalList.items[x]).Free; line. Freeing AlarmList items before freeing SignalList items raises the access violation error, but WHY? Update: I am using Delphi 7.0 on Windows XP. The actual FastMM4 messages is as follows. FastMM has detected an attempt to call a virtual method on a freed object. An access viloation will now be raised in order to abort the current operation. Followed by a lots of memory dump. According to this FastMM4 error, if you free an object within an another object, you automatically free the owner as well. I know that can't be true, but correct me if I am wrong. Does TSignal not free its AlarmList member in its destructor? (That�s how I would do this). Update: does it work if you remove the TSignal(SignalList.Items[x]).AlarmList.Free; line? Second update: Each TList's items need to be freed, if it contains pointers to objects. Your problem was that TSignal is not a TList. Since it takes care of freeing its members (such as the Alarmlist), that Alarmlist should not be freed explicitly. I am currently working with Delphi Prism for Mono development. So, the software can be cross-platform mainly to be run on Linux OS. To get started, I have been implementing and test running the basic functions of my software - Serial and Network Communication. But I can't seem to get passed serial communication implementation for Mono. It seems that there is no library or .NET framework that supports Linux environment after searching the Internet and Stackoverflow. Although there are some similar questions that were asked by others in Stackoverflow, the answers don't really show any sample. I am kind of stuck. Here is the code I wrote for Mono serial comm. after visiting this one website. But everytime I run this code under Linux, Mono raises a message box with "The requested feature is not implemented." I can't understand why. Is this even possible to do for Mono? I need to get access to the serial port on Linux for RS232 communication. I am a beginner in the Dot NET environment and not really happy with it from what I have read and done with Dot NET so far. I need to migrate or write a program that will utilize ASP.NET with window Form Application. For whatever reason, I can't create this program as a single project. Am I miss understanding what Dot NET is or is that how Dot NET designed to be? I have Delphi Prism(DP), which is based on Visual Studio 2010. Under DP, I can only create separate projects for ASP.NET and/or Windows Form Application. I can not seem to use little bit of both world under a single project. Is it even possible to do that? My Delphi Prism Dot NET program is supposed to be part window based and part web-based. As a window based program, it is supposed to send and receive data on the serial port and network. As a web-based, it is supposed to give the user access to the window-based (server side) of the program on the Internet or LAN or Intranet. I ran all their demos and searched online for help. Still, I am having hard time with it. I am getting frustrated. I thought, programming in Dot NET was going to be a breeze, but it is turning out to be a problem. I should know this by now for Dot NET being Microsoft. If anyone can give me hints or more information to help me understand Dot NET little better, I would appreciate it. Thank you. They are separate projects for separate problem domains. You would not and can not intermingle an ASP.NET project and a Windows Forms project. Choose a project type and build out something simple. After you have crossed that bridge move that concept to another project type (WPF, Silverlight, ASP.NET MVC, etc...) and note the differences. The underlying language will carry across projects such as C#, VB, etc...however the project type/framework will not. I am developing Delphi application on Delphi 2010 XE RAD Studio under Windows 7. My application talks on the serial port non-stop. I am using AsyncPro for Delphi 2010. Serial communication and everything else on the computer I develop with works great without any problem. However, when my release version of my application is run on another Windows 7 system, serial communication completely fails. We probed the serial communication itself for an answer and found out that Request to Send (RTS) line is not dropped right after sending all the bytes, whereas on my development computer RTS line is dropped correctly. Even when I explicitly drop the RTS line to low or false state, RTS line doesn't drop right away but after good 15 milliseconds. Thus, serial communication on my release version is failing. Am I missing important information about Windows 7 and serial communication issues? UPDATE: I just found the bug with my Aysncpro 5.0 for Delphi XE. It is weird. When my Delphi XE IDE is open or running, my program is communicating flawlessly. When I shutdown or close my Delphi XE IDE while my program is running, the same program doesn't communicate very well or it times out. Chime in if you have any idea why it is happening. Sounds like a timer resolution problem to me. I had the same problem trying to write to a USB FTDI driver using an event based timer with timeSetEvent()... When Delphi loads, it changes the timer resolution to less than 20ms, which made my app work fine. When the IDE wasn't running I couldn't get things to work below 20ms +/- 5ms (the default Windows resolution I believe). To fix the problem, I call timeBeginPeriod(1) in the thread to set the minimum system wide timer resolution. I believe this affects the resolution of other time based events, because I get better than +/-5ms accuracy on other (non-multimedia timer) wait events in my app when I use timeBeginPeriod(). So, what I'm suggesting is that somewhere in the AsyncPro code it's using some time based event or call back... That would be affected by Delphi's change to the timer resolution when it is loaded. Try calling timeBeginPeriod(1) somewhere in your app when it starts and see if there is a change. Oh, and don't forget to call timeEndPeriod(1) when your app shuts down. I have TTimer enabled and is supposed to run non-stop forever until the user stop it. However, it doesn't work that way. Within OnTimerevent, it processes window messages over and over again in milliseconds. For instance, here is a snippet of my code. What happens is this. While the TTimer is enabled and running, you drag any windows of the application or click on pull down menu the TTimer event completely stops working, even though I have taken precautionary steps in other part of the code to prevent this from happening. However, it doesn't seem to be helping. The only way to restart the OnTimer event is to stop and restart the Timer by the user through TButton event. The same code or program works fine under Windows XP compiled with Delphi 7. Currently, I am using Windows 7 and Delphi 2010 to rebuild my system. I will try to give you more information. What I am working on is a copyrighted software. PostMessage is associated with onMessage event of the application. Whenever PostMessage is called, it fires onMessage event which is set to HandleMsg(). HandleMsg() responds to PostMessage. Correct me if I am wrong. In both cases (starting to size/move window or opening a menu) the last message dispatched from TApplication.ProcessMessage is WM_NCLBUTTONDOWN (or a WM_NCRBUTTONDOWN if caption and system menu exists and clicked on the caption.. or a WM_RBUTTONUP if opening a context menu, etc..). Common to all is they are starting a modal message loop. The WM_ENTERSIZEMOVE message is sent one time to a window after it enters the moving or sizing modal loop. [....] The operation is complete when DefWindowProc returns. After a modal message loop is started the HandleMessage call in TApplication.Run will not return until DefWindowProc for the relevant window returns (in the WM_NCLBUTTONDOWN case for instance, the dispatched message will cause a WM_SYSCOMMAND to be sent to the window which will start the modal message loop and will not return until moving/sizing is complete). So you won't be able to use an OnMessage handler of the application in this period which is called in TApplication.ProcessMessage. Or, put your code in the OnTimer event, since WM_TIMER is itself posted. I have been upgrading or migrating our software from XP OS to be able to compile and run under Windows 7. Our software is starting to show issues that we didn't notice under Windows XP. Currently, I am dealing with a user defined control flickering on a TForm. It seems to flicker every now and then not always, but when it flickers it is very noticeable. I have set DoubleBuffered for the TForm and TTrendChart Class, but it is not helping. This a user-defined control of TCustomPanel. It is supposed to display a Live Trendchart on a TForm.